1987 Volkswagen Vanagon Westfalia Camper Syncro "Custom Build"
Trim: Westfalia Camper Syncro "Custom Build"
**SOLD** (FYI, This was a $100K+ build) This AWESOME Vanagon Syncro (a factory original Syncro) build spent 2 years/11K miles out West in the High Rockies and is just back in on trade! The Family LOVED this Van, but made the decision to go to a larger platform and trade it in to us. Below are the Specs from our Original post. In addition to what we did it also received a Go-Westy rebuilt Transmission with ALL available upgrades to it such as oil splash plates, etc. It is running and driving GREAT! It is ready to tackle adventures and make more memories! **Discalimer: This was a no-expense spared one-off build out where a "real" $100K++ was spent less than 3 years ago! This is not for everyone. This is not a $$ grab. This Vanagon is 100% legit and AMAZING! 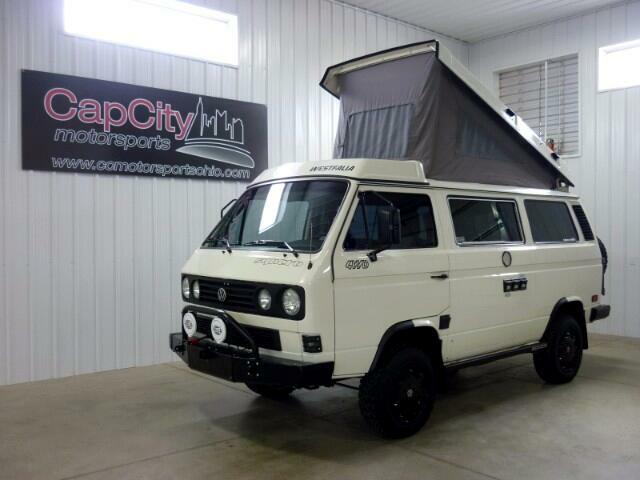 Vehicle Inquiry for 1987 Volkswagen Vanagon Westfalia Camper Syncro "Custom Build"
Message: Thought you might be interested in this 1987 Volkswagen Vanagon.